The big problem we face is – we are all geared to turn on each other. Take your average working environment – one manager and 5 people fighting for his or her position. (sport) (racialism) (gender) (age) all have their means of dividing us, and it is no coincidence. You see most people can not see past the scraps at the end of the table – we are like hungry animals in a general sense. The only way i can see us freeing ourselves from a lifetime of debt slavery is a GLOBAL world war. So the BIG decision is would you rather live like cattle or try and survive in an Armageddon type of environment? LIVE on your knees or DIE on your feet – easy enough decision for most people – becomes very difficult to make once we start baring children. The Worldwide Wave of Action is about to get a HUGE BOOST!! On today’s organizing call we will unveil the new #WaveOfAction organizing network / online platform. Forget about Facebook and all those digital plantation social media companies that suppress activism and sell your private information to the highest bidder. We have our own network now, and it’s being developed specifically for people who are Being the Change. We already have a bunch of critical tools built into the site, and in collaboration with activists around the world we are going to develop many more in an open-sourced, co-creative way. If you haven’t already registered to be on our organizing calls, RSVP here to be on today’s call. The call starts soon, at 1pm EDT / 10am PDT. The first hour will feature a recap from the inspiring Cowboy Indian Alliance, Reject & Protect, Stop the Keystone XL Wave of Acton that swept through DC and set up an encampment by the White House. We will also recap Earth Day actions, give updates on May Day organizing and Fight for the Future will talk about what we can do to free the internet from NSA surveillance. The second hour will be dedicated to the new organizing network and open questions. We are incredibly excited to unleash this new platform, it’s exactly what we need!! I am writing to you to ask you to participate in Focus Ireland’s current campaign – to make housing and homelessness an issue in the local election campaign. Frist I want to thank you for participating in previous Focus Ireland campaigns, and agreeing to be contacted on new campaign issues. We have had some notable successes – on the Constitutional Convention recommending a Right to Housing, on Aftercare and on a new target to end long-term homelessness. 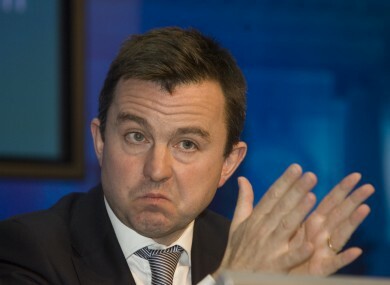 Now we need your support again as Ireland is facing a worsening housing and homeless problem and Focus Ireland believes it is vital these issues are put firmly on the agenda for the local elections. You can participate in the campaign here . Focus Ireland is currently seeing a lot more people and families becoming homeless – and remaining trapped in this situation – despite all our efforts to support them to s ecure a home. This is due to the fact that there is a severe shortage of housing options available for them. Many of the families and people coming to our services have never had any experience of homeless and never imagined that it could happen to them. With rising instances of home repossession, reduced stock in the private rental market, a lack of social housing options and increasing rent, those in vulnerable housing situations are more at risk than ever. In the face of this, homeless services have seen cuts in funding every year. We are asking people who care about homelessness to vote for candidates who will put a stop to these cuts, and refuse to vote for local budgets that include further cut backs. But how will you know which way candidates will vote on this issue? We are asking everyone who cares about homelessness to contact all the candidates to ask them to sign a pledge that they will protect the homeless budget. The Focus Ireland pledge seeks to ensure there are adequate services for people who are homeless until we see a reduction in the numbers of people who are homeless. Please now take two minutes to play your part to support the most vulnerable in our society. 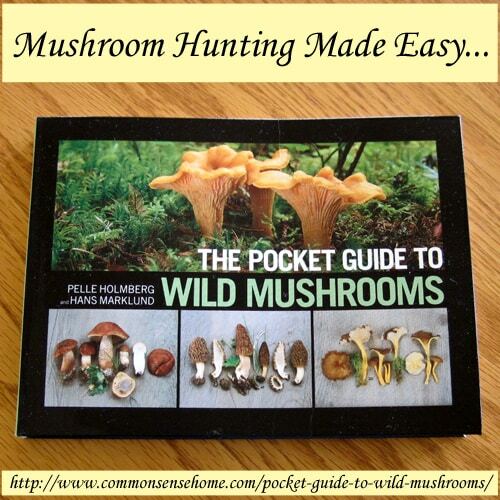 The Pocket Guide to Wild Mushrooms by Pella Holmberg and Hans Marklund is a great resource for any wild food forager. This week we’re featuring a review and giveaway of this handy little book. 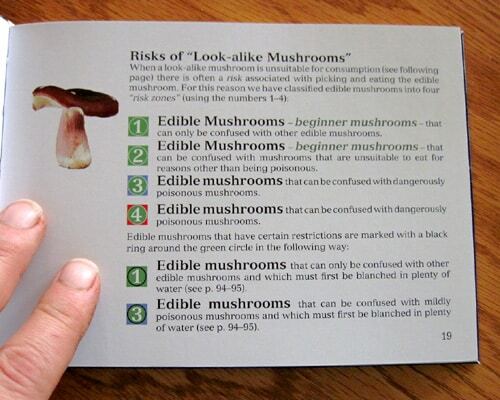 While no book can take the place of an experienced guide, this pocket guide should provide you with the information you need to forage safely for mushroom varieties that are new to you. Fall is typically prime season for many mushroom varieties, so I am looking forward to taking this book out with me more later this year. I shared it with my neighbor last week, and if the weather cooperates this fall (you need rain for mushrooms, and it’s been a dry summer), we’re going to go investigating in their woods to see what we can find. The book begins with an introduction and discussion of what exactly mushrooms are and where they are likely to be found. It then continues with a thorough explanation of proper picking, cleaning and preparation. The authors also note that mushrooms contain fiber, important minerals, antioxidants and vitamins B and D in significant amounts. Not bad for a “free” food. This book focuses on varieties that are suitable for cooking (edible varieties), but also gives mention to potentially inedible look-alikes, if any. Given that the authors hail from northern Europe, so too are the mushroom varieties featured in the book generally found in northern forests. Each mushroom is categorized from 1 to 4, with 1 being the easiest to identify with only edible mushrooms that look similar, to 4 being those that are edible but could be confused with poisonous lookalikes. You can stick with the #1 mushrooms (or beginner mushrooms) when you are just starting out and nervous about your identification skills. In the interest of thoroughness, the authors also offer a detailed description of the potential symptoms of mushrooms poisoning. Stay safe, folks. The bulk of the book is filled with two page spreads of52 edible mushrooms featuring detailed photos of the mushrooms in studio conditions, including cross sections, and photos of the mushroom in its natural habitat. Each entry provides a description with distinguishing features, a guide to preparing and preserving, and a description and photo of look-alike mushrooms. I particularly appreciate the extremely detailed photography with horizontal and vertical cross sections of the mushrooms. As anyone who has done any amount of foraging can tell you, good photos make or break a guide book. These qualify as good photos. Grün, grün, grün sind alle meine Farben? Nicht ganz – McDonald’s ist ein Paradebeispiel für Greenwashing. Neue Pläne für Gentechnik im Geflügelfutter beweisen es. Vor ein paar Jahren wechselte die Fast-Food-Kette den Hintergrund für das Unternehmenslogo von Rot auf Grün – als Bekenntnis und Respekt vor der Umwelt, wie es hieß. Ein bisschen Schminke reicht allerdings nicht aus, um die Umwelt zu schützen. Sie kann auch dazu dienen, den einen oder anderen schmutzigen Fleck in der Produktionskette zu vertuschen. Einer dieser hässlichen Flecke kommt jetzt zum Vorschein. Denn der Burger-Riese will wieder Gentechnik im Geflügelfutter einsetzen. Geflügelmäster wie Wiesenhof und Co hatten im Februar angekündigt gentechnisch veränderte Soja ab sofort ins Futter zu mischen und damit eine seit 14 Jahren bestehende Selbstverpflichtung aufzugeben. Vote these traitors out of office while we still can!